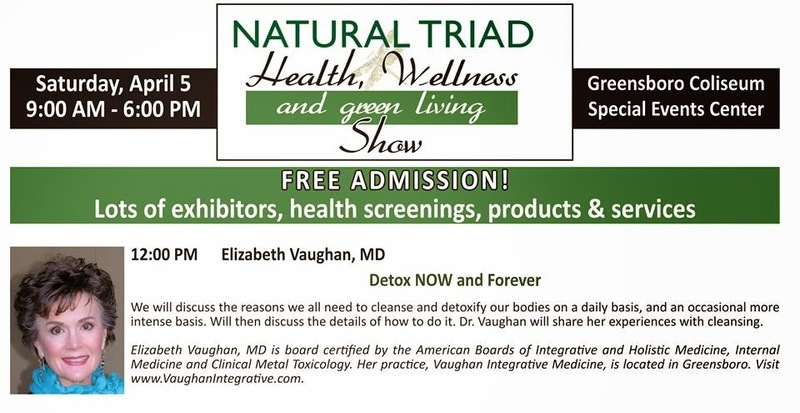 Come see me at the Natural Triad Health, Wellness and Green Living Show at the Greensboro Coliseum on Saturday, April 5. I'll be giving a talk on detoxification at 12:00 pm. Come and learn why we need detoxification and how you can detox. At the show, stop by the Natural Vitality Center booth to receive a coupon and to register to win 10 sessions in an Far Infrared Sauna.